Pre-order now to receive your gift! We thought this might make you chuckle, and we were right. Happy April Fools! It’s been an amazing four years and we can’t begin to describe how much we appreciate your overwhelming support. As you know, our mission at Examine.com is to be useful and provide you with the best in nutrition and supplement research. We wanted to celebrate this April 1st with a product everyone can use, whether you're a professional or a layperson. The #1 request we've had from our users since our founding has been to sell them supplement stacks they can trust. We already know more about supplements than anyone else in the industry, so who better to come up with the perfect combination? We have Stack Guides that tell you what to do, but why not make it even easier for you? Why not offer the very products our stacks recommend? In an effort to make supplementing even easier for our readers, we’ve decided to ditch our unbiased approach to help you get the tools you need for better health! For the past two weeks, our team has been collaborating with Florida’s best food bloggers and China’s top manufacturers to develop Re-Brain™. We've applied decades of our staff’s collective research and knowledge to create a formula that will not only boost your brain power if taken daily, but can also reverse signs of aging, such as memory loss and trouble focusing, thanks to the power of hormone-infused omega-3 fatty acids. 1Increases reading speed by 90% and typing speed by 70% so you can read and comment on your favorite forums FASTER. Less time reading is more time in the gym. 2Functions as a sleep aid if taken with honey lemon tea. Warning: may be addictive, sleep latency varies based on BMI and the presence of bioactive compounds in organic tea. 3Studies show Re-Brain™ allows you to absorb 80% more information by improving your cognitive osmosis rate, even while you’re asleep! This effect does not occur when Re-Brain™ is supplemented while awake. 4Maximize your cognitive ability: some users report doubled sudoku-solving capacity. 5Mixing Re-Brain™ with caffeine will increase mental alertness by 200% allowing you to complete at least three all-nighters before exhaustion kicks in. Great for gamers, gamblers, and ultramarathoners! What’s the catch? Are there any side effects? Fortunately, the only side effect associated with the daily use of Re-Brain™ is that it may not work. Think of it as a lottery: if it doesn’t work, your wallet is just a little bit lighter. If it works? Have you seen Limitless or Lucy? That’s what you could be! Examine.com offers a placebo-effect guarantee. 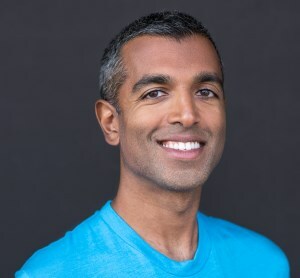 If any purchased supplement product fails to provide benefits after supplementation, the placebo effect is guaranteed to improve your health in place of the product. 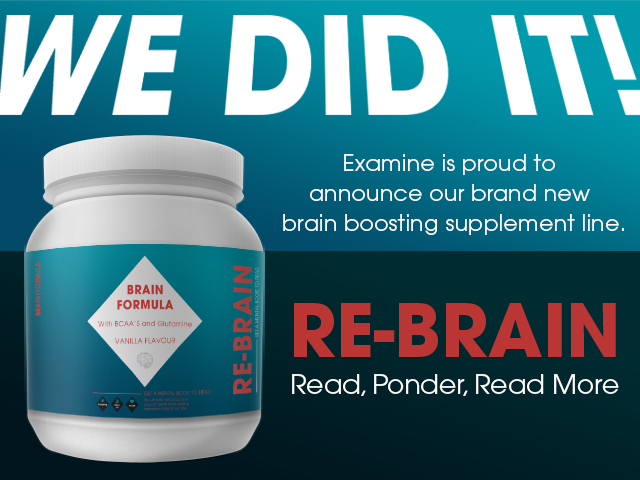 To make decision-making even easier for you, we only offer Re-Brain™ in a neutral vanilla flavor - mimicking our own neutral approach to research! Upper-Mass™: A protein formula designed to promote maximum muscle growth only in your arms and chest. Available in Spray Cheese and Crispy Chicken flavors. Ex-Fat™: Our magic potion for weight loss, guaranteed to help you lose at least 10 lbs in 48 hours. Formulated with garcinia cambogia every serving burns approximately 10,000 calories. Available in Chocolate Fudge and Cookie Dough. 100%™: We can’t tell you what is does, but we promise you’ll love it. The flavor has been described as nutty and odorless. Happy April Fools! We were just kidding. We would never do this!